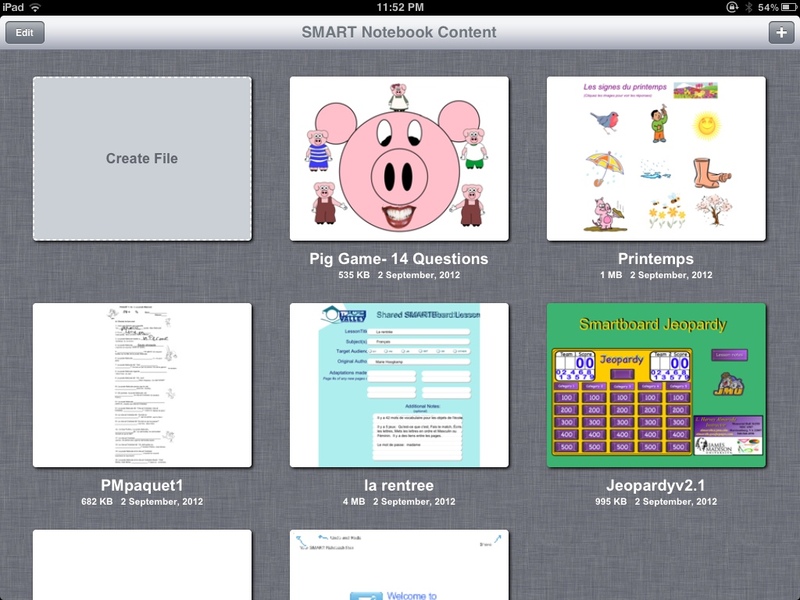 This weekend I was excited to see that an iPad SMART Board app has been released, at the end of August. 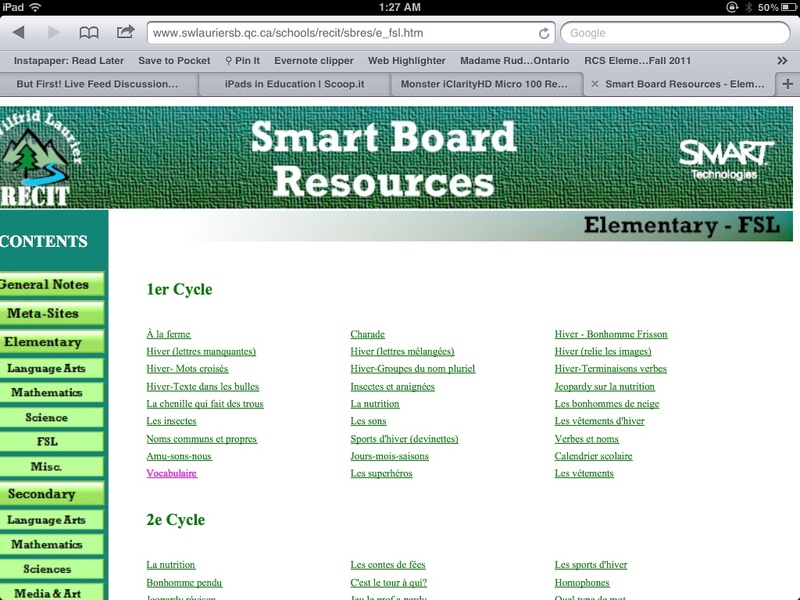 I was flipping through my iPad reader on Zite when the title: SMART Boards and the Notebook for iPad App hit my eye. This was the article that I read, by James Hollis, a SMART Board specialist. While definitely not claiming to be a smart board expert myself (I have only fiddled with it the past year), I have seen the advantages it can bring in a classroom. Certainly, it is a very expensive piece of technology, and there have been arguments (online and on my blog) on how displaying an iPad to a projector, using various methods such as AppleTV, apps such as Reflection, and hdmi and vga cables, can be a valued substitute to a SMART Board. 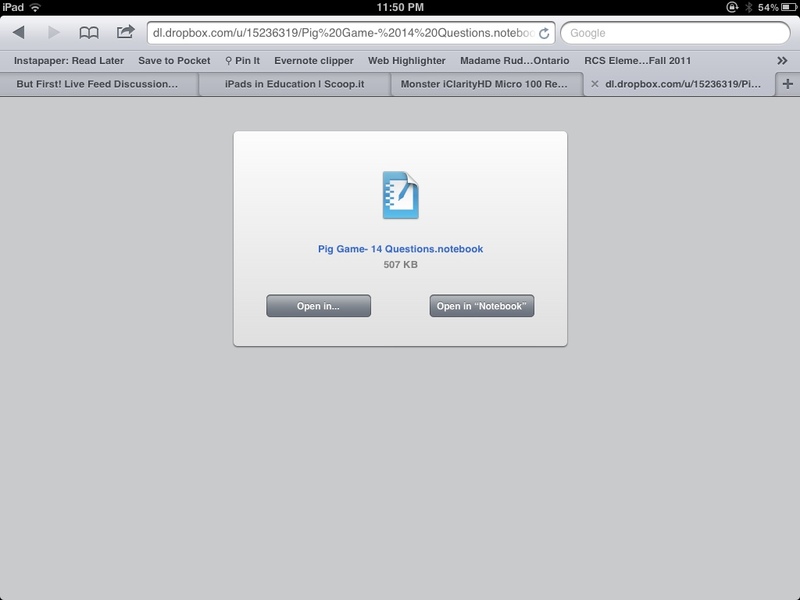 Looks like this app can not handle large files on the iPad. I will have to remember to use only smaller, less graphic-intensive files that I own. Please keep in mind that you are able to create files directly from the app as well. This app is $6.99 in the App store. 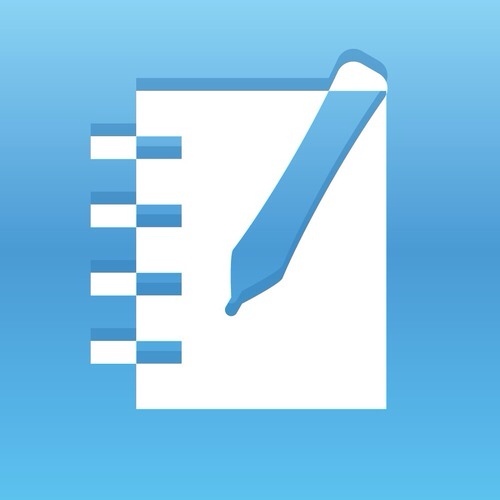 I would recommend it if you have already been using Notebook software for the SMART Board. Please note that the app does not communicate directly with the iPad, meaning you will not be able to control the SMART Board from your iPad. I think this app will come in very handy for myself, a traveling “cart” teacher who teaches in over fourteen(!) different classrooms throughout the year. Only one classroom in the school actually has a SMART Board, so with that in mind, I think that I will be able to share my Notebook files with most if not all of my classes this upcoming school year, using just the projected iPad. We will definitely see how well this app works and I will write a second post on my experiences after experimenting with it a little while. I think teachers who have not had the opportunity to use a SMART Board would probably try this app and perhaps even use it just a “simplified” version without having to purchase the equipment. What do you think, as a teacher? Will you give this a try? Already have a SMART Board? Check out some more tips and templates here. **Question for International readers: Do my iTunes app links work from your country? Please let me know! Thanks! So, if I have made a Notebook lesson for the Smartboard, would I be able to write on the lesson from the ipad and then advance the slides? Have you purchased the iPad app yet? I don’t think it should be a problem. I do not “save” my annotations on iPad, as the app is obviously inferior to the desktop program. Let me know your findings.